Enter your phone number. Then a tick in the box with "I'am not a robot" ( You may get a puzzle to solve sometimes ) Place a tick for the next square box ( I agree to ... at any time ) as well . Then choose "Open Account ". Done ! So no the account is created bu Skrill and first stage is successfully done. Now you will get a window as below screenshot. Choose "Continue to My Account". Now you will see a window as below screenshot with two methods to increase security of your account. For the first method, you must have a modern smart phone ( We will discuss about it at the latter stage of this article ). Let's try the second method. Here you will be creating a unique number which you will need to enter each time you need to make a transaction. Go to "Create a PIN". You will now get two text boxes as below screenshot. Enter 6 digits in first text box ( Make sure to remember the 6 digit code or write it on a safe place ). Re-enter the same digits in the second text box. Choose "Save"
9) Verify your email ! Once you complete the above stage, you will be taken in to your account's dashboard. 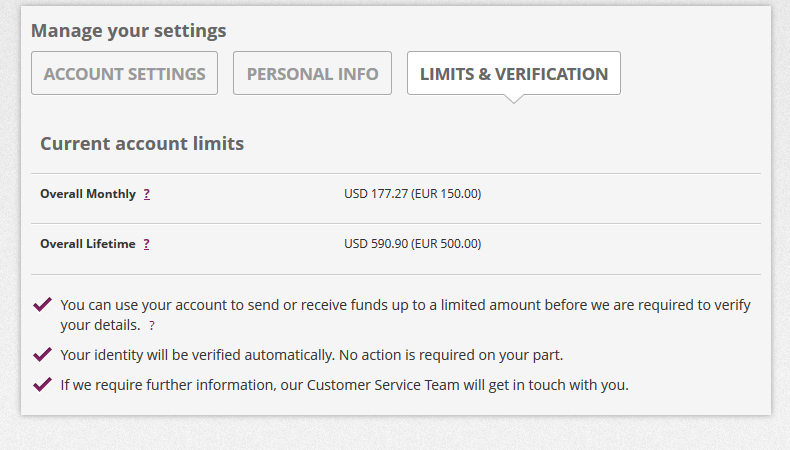 The big red banner notification on top state that you will receive payment in Eur not in dollars. It is not an issue for you. So just ignore that notification. The yellow banner notification states "To ensure we have the best level of security. please verify your email address now". So click the text "now" in that box . 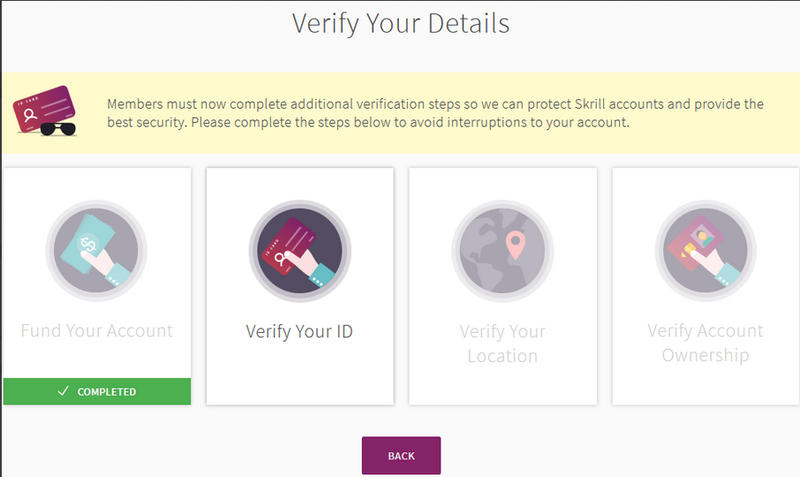 You will receive a verification email from Skrill with a link in that email. Click that link in the email that you will receive. Once that is done, the yellow box in your dashboard will disappear. You must verify your card. 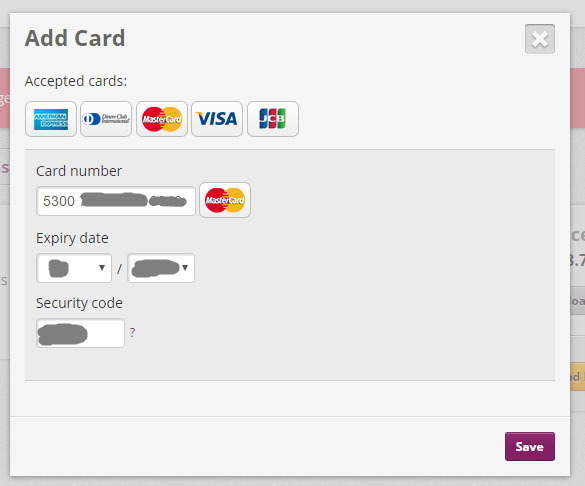 Therefore click "Verify" infront of the added card. 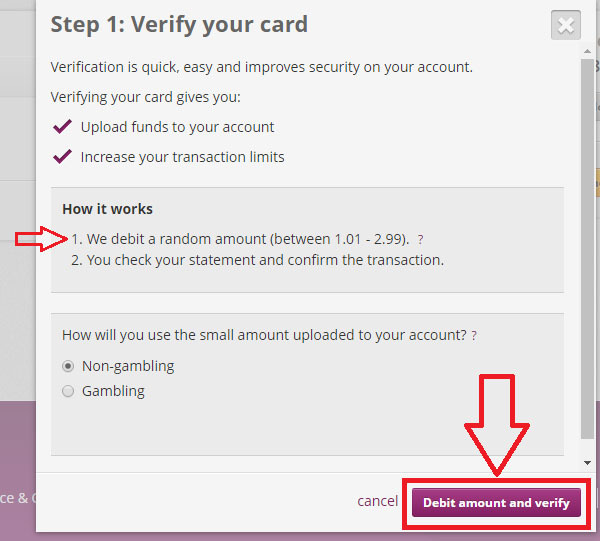 Then choose "non-gambling" and next choose "Debit amount and verify". My Debit / Credit card Payment got "Declined" ? Most local Sri Lankan bank cards no longer works online. Then get the above transaction details via monthly bank statement that you will receive. Optionally, if you have online bank facility, you can check that one at the end of the month. So once you know the exact "amount " in dollars. Go to "Card and Bank Accounts" > "Finish verification" ( This text will show infront of your card attached card ) and enter the exact amount. Now card is verified ! 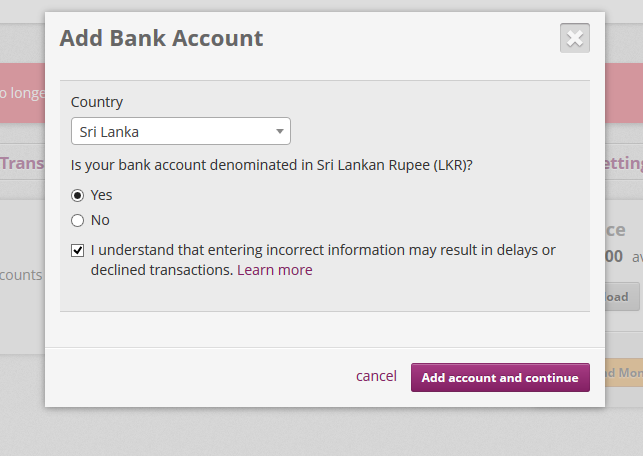 If you wish to receive money from your skrill account to bank account. You will have to attach a bank account. Always withdraw to bank account, when you have $500 or more in Skrill account as withdrawing small amounts will be not worth. For smaller amounts ezcash ( we will learn about it in next step ) will be the best option. So go to "Cards and Bank Accounts" again. Choose"Add Bank Account". From the next window you are getting. Choose "Sri Lanka" ( or another country depending on your location ). If your account is a normal rupee account, please choose "Yes" ( radio button ) from next step. Then tick the box at the bottom. Finally choose "Add account and continue". In the next stage, you will have to enter the "Bank Account Number", Choose "Bank" from the drop down list, choose the bank branch from "branch office". Double check to make sure the details are correct, then choose "Add account and continue". Done ! Using your dialog number ( hutch & etisalat numbers also can be used ), dial #111# and get eZ Cash account enabled. Please remember the PIN number that you will get or write it on a safe place. You will need the PIN when making withdrawals at a easy cash center ( Don't confuse this PIN with Skrill PIN. That is different and this is differnt. This is for your ezcash account ). The main account that you will get is "Classic" in Ez cash service offered by Dialog. You can keep upto Rs 10,000 in the mobile wallet. If you need a higher account with upto Rs 25,000 limit, you will have to visit dialog office to request it. 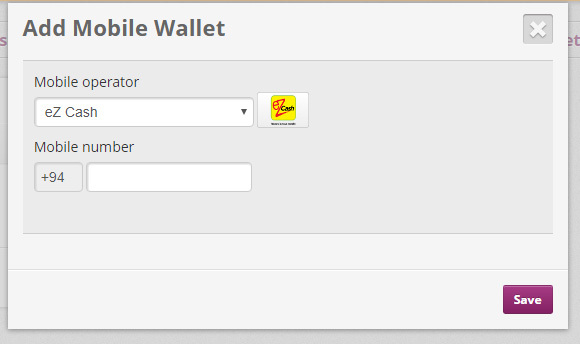 Now goto "Mobile Wallets" tab. Then choose "Add Mobile Wallet" . Now enter your ezacash mobile number. Double check the number once again. Then choose "save". If you need to receive a payment from an individual to your skrill account, give ONLY your skrill email address. ( Do not give any other information specially do not give PIN, Password, address etc.. ). If you need to receive payment from a reputed company website, you will still need only to give Skrill email address but in some instances you amy have to enter PIN in that particular service providers website. 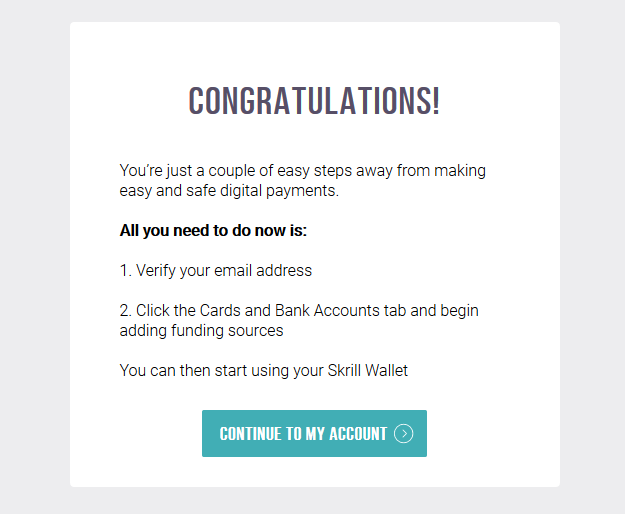 If you need to make a payment from your skrill account. You will need only to enter Email and PIN only. ( If you have enabled 2 factor authentication, you will have to enter the random code as well ). If you need to send money to a friend, family or individual service provider, click the "Skrill to Skrill" ( Make sure the person who receives money has an active skrill account or service provider accpets skrill payments ! ). Using "Send Direct", you can send money to bank account using your card directly. 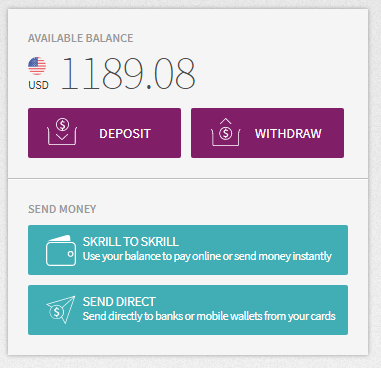 15) How to get money from Skrill to my bank account or ezcash wallet ? Choose "Withdraw" button to right side of your dashboard. Using this option you can either withdraw to bank ( in 2 to 7 working days ) or ezcash account ( You will get it instantly via ezcash. Sometime it can get delayed to a maximum of half an hour. You can withdraw upto Rs 10,000 per 24 hours to your ezcash account. Always check the balance too in ezcash account as you cannot keep more than Rs 10,000 in your mobile wallet ). ( Using "Deposit" button you can add funds to your skrill account by card, bitcoin or neteller ) So let's try ezcash method first. Choose "Mobile Wallet" from next window that you will get. Mention $60 or lower amount ( Make sure it is less than Rs 10,000 always ) as you are having a "Classic Account". If you have a "Power Account", you can withdraw upto $160 each time ( you will need to visit a dialog center to get a power account ). Then click "Continue". Good thing with the latest skrill update is that you will be able to know the exact amount of money that you will get to your ezcash account before making the withdrawal. Now enter your birth day and click "Withdraw Money". You will receive payment instantly ! 🙂 Also you will receive a notification to your dialog phone as a confirmation too ! Just like before, choose "Withdraw"from your dashboard. Choose "Bank Transfer". Mention the amount you wish to withdraw. Choose "continue". In the next window, you will be able to know exactly how much you will receive to your bank account. Now mention your birthday and choose "withdraw money".Generally you will receive it to your bank account within 2 working days. if any delay arise, the maximum it can take is around 7 working days. This will increase your accounts safety, If you have funds in your account. It is highly recommended to use 2 factor authentication ( You need a smart phone for this step guys ! ). 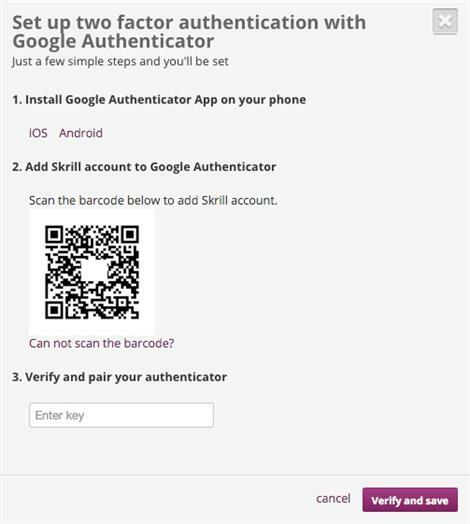 a) Download "Google Authenticator " app to your smart mobile phone and install it. Google Play store ( Android)/ Apple app store (iOS). Choose "Turn on 2 factor authentication" from next window. From the next window that you will get, Scan the "QR Code " ( the square shape large icon ) using the google authenticator app already installed by you. 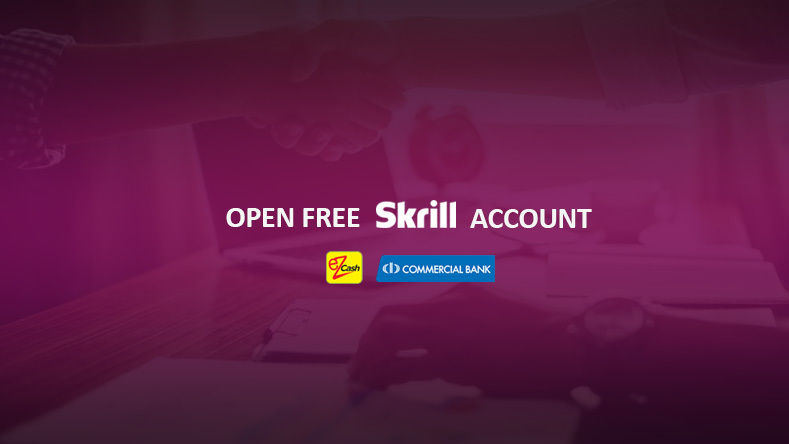 So we have given you the step by step guideline to opening a skrill account. So add about $10-$100 and keep this account safely as it will be very helpful for you in receiving funds easily to you. You can go to "Setting"and then choose "Limits & Verification" to learn about your current limits and required verification's. So once you start using skrill account. 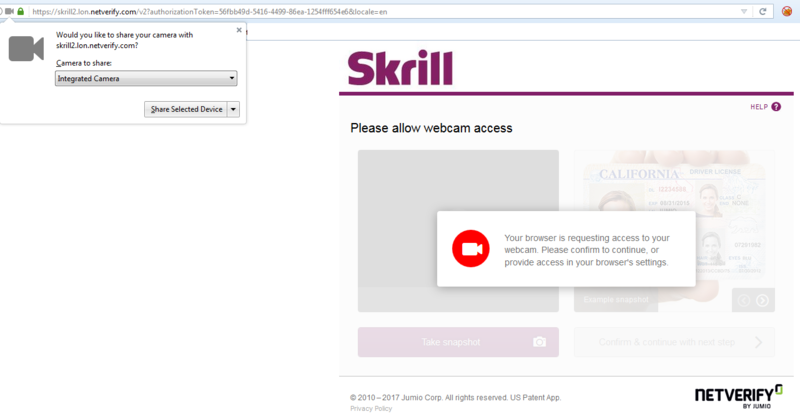 The skrill will ask you to verify your account using relevant documents and web cam. Once these steps are verified. You will have no limits to your accounts. So let's see how this can be done. Once you get a yellow box in dahsboard like in below photo ( also you will be informed via email by Skrill ), It means that you have to start verifying your account. Click "verify your account" link in it. You will see the remaining verification steps like in below photo. Choose "Verify your ID". 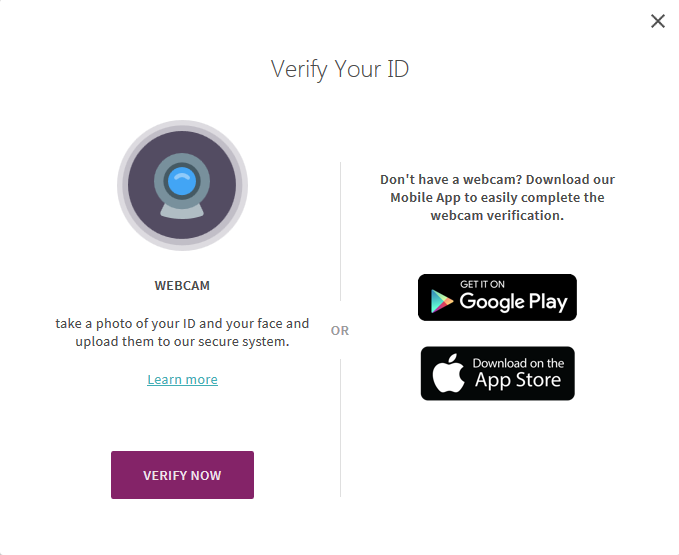 If you have a webcam ( You will need a high resolution web cam ) choose "verify now" or download Skrill mobile app from Google play / App Store for identity verification (In case, if you do not have both options or issues with both options. Don't worry, I will mention what you need to do at the end of this step ). If you have not given access to your webcam via your browser. You will get a window as below. Choose "Share selected device" ( top left corner of your browser ). Now it is time to take a selfie with the document that your are going to submit mate ! Make sure to take photos of both sides clearly with your self. Then choose Finish & start verification . You will get a window like below screenshot. It will try to verify your documents now. So be patience guys ! After several days, they will inform you to send two photos ( Photo 1 : Front of your document with face , Photo 2 : Back of your document with face). Take a very clear photo where the text in your document is readable. So once the two photos are ready, email it to Skrill. 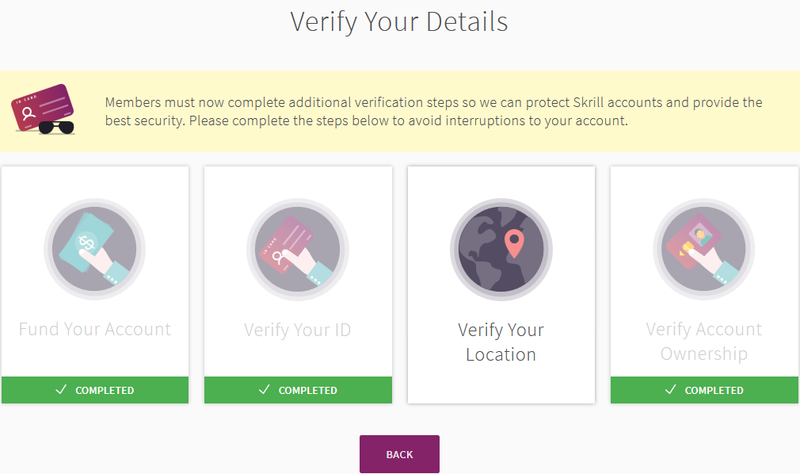 So after several days ( this can take some time ), they will inform you about the status of identity verification ( If the sent doucments are not clear, you will have to resend until they approve documents ) So if the skrill identity verification was successful, both "Verify your ID" "verify account ownership" will get completed & verified ! 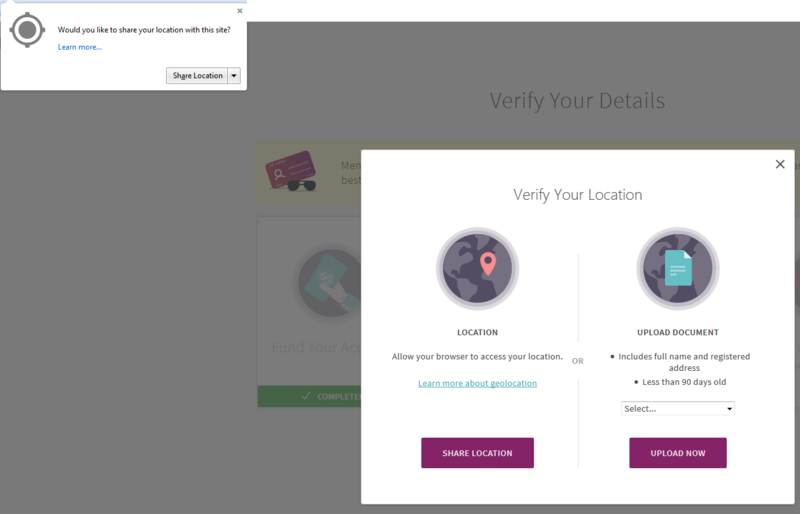 Go to "Verify Your Location" from above section. Get a scanned copy of a clear document taken within last 3 months which can be used to verify your address ( Phone bill, Tv bill, Electricity bill, Water bill, certified Bank statement etc.. ). Then choose the relevant document type and upload the document using "upload document" button to the right side of the below screenshot ( You can try first method but chances of success is very low as it tries to automatically verify your address ). HNB, NTB cards, Sampath web card are supported at the moment. what about the commercial bank visa card? what is the reason?my bank card is commercial debit card . you may have to chk with the card center. Your country may not be supported by Skrill yet Amornrat. Add credit or debit card kyna ekata Commercial or wenath bank ekaka caard ekk add karala. Add bank account kyna ekata wena bank ekk add karnna berida? Skrill hari neteller hari accounts natuwa forex trade karanna badida??? aluth id eka ho passport eka ganna. skrill / neteller haraha mudal dameema saha ganeema dan aniwaryayenma karanna. Heloo, i just want to ask…because of i didnt have my own one..so bill like electric bill,water bill is under my father name. also im working in outside state of my area..im just rent house..so how can i verify my acc using untilit bill..please help me? Hello, when I was trying to make a withdrawal from skrill to my com bank account, it was not successful and reason says the bank has rejected the transaction. Do u know y it is? do I need to check with the bank? Make sure the name on your skrill account tally’s with your account name on com bank account. Also double chk the swift code and account numbers and other relevant details ( if details are wrong or name difference exists, you won’t receive the funds until it is solved ). If all good, try a withdrawal once again ( Generally you will receive funds within 2 hrs to 3 days). If it still fails. 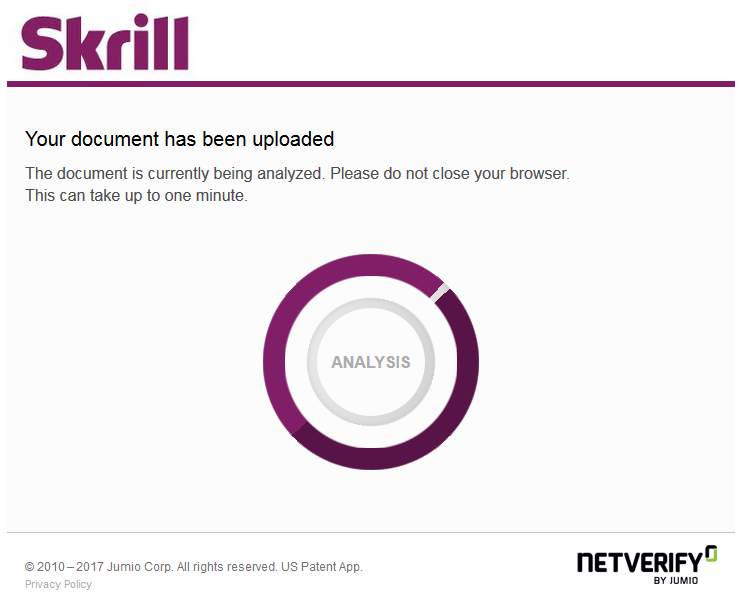 contact the skrill support as they will highlight the exact problem. 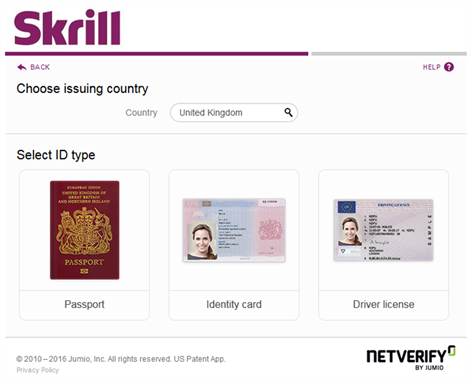 I have a verified account with skrill and was able to deposit into Skirll using my commercial bank international visa debit card earlier this year. But now the payments are being declined since june 2018. Has card transactions to Skrill been banned in Sri lanka in June 2018? skrill does not support com cards any more ( master cards does not work as well ) and also it seems com card has problems with online payments ( even when paying using paypal ). Use an international bank card mate. Are the NTB and HNB bank debit cards support for the skrill deposits and withdrawals in this moment rather than commercial bank? 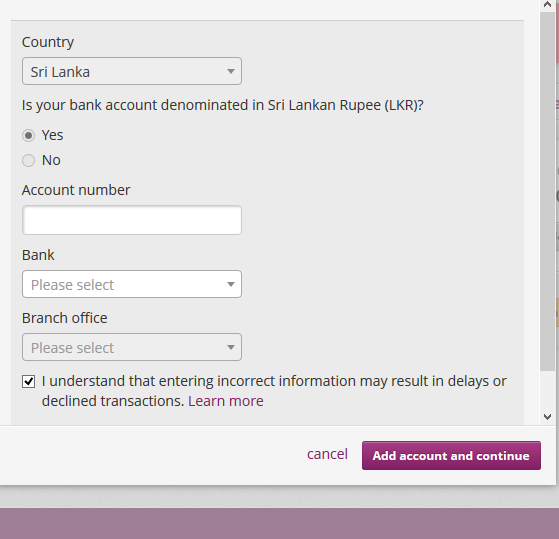 please give more details on depositing with skrill since now it is stopped in sri lanka heard that new skrill accounts cant deposite money only old ones can..whats the situation now pls give more details. thank you. specially paying for FX brokers. Do you know which banks are supporting skrill withdrawals? Do you know which banks are supporting skrill withdrawals to bank account? mama IQ eke $ 10 k deposit karanna giyama skrill eken error msg 1 k enawa. “Your available balance excludes 31.75 USD not eligible for online gambling. Can anyone tell me which bank supports funding to skrill ? Sampath debit cards (or from web cards) walin deposit karanne puluwanda skrill account walata? Commercial bank card ekai hnb card ekai dekama declined una.card centre katha karama kiwwa skrill.com central bank eken block karanna kiyala thiyenne.payments karanna ba kiyala dan.mona hari card ekak support karanawada dan.i need to buy 1000 dollers skrill.can you help me to get them. Hi! 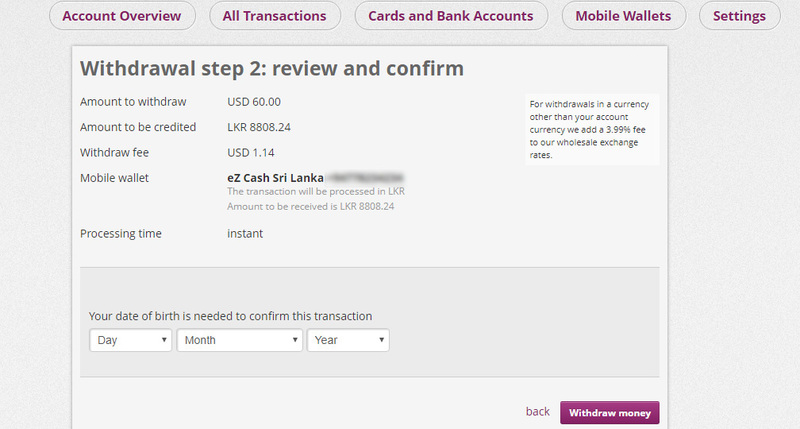 Why i coudb’t withdraw money from skrill to ez cash? skrill account eken money send kara sampath bank account ekata .with in 5 days i checked my account update wela nane.so i call sampath bank they tell me central bank eken stop karalalu skrill and other online accounts payments .man kohomada srill eken money ganne? samahara card deposit witharai temporary support karanne naitte. Withdrawal gaitaluwak nai. Mai dawas wala kohomath waida karana dawas 3- 7 wage yanawa payment enna. Ezcash thiyenan eka use karanna. shenikawa ganna puluwan. any one can upload money to skrill through sampath bank international debit card (visa) its working, I just deposit cash in Skrill through Sampath Debit card. Does this Sampath bank to Skrill Deposit via debit or credit visa card still working?? What credit cards do you mean by international credit cards? Thanks a lot for the update bro. Mata epa wela thiyenney ###365 ekata cash daaanna lankawey eka card ekak nah ne. Okkoma reject wenawa. Anyone knows a card that can be used for E-sports ####? What is this? How can I deposit money to IQ OPTIONS from skrill… How to I deposit money to skrill which qualifies to deposit money to IQ OPTIONS? Yea most banks no longer supports. If you have a friend or family member in an overseas country, try to get funds from them to your account ( skrill to skrill transfer). Skrill account ekak hadala verfy krala tiyenne. Ez cash walata 2k withdraw th kra. Ath den ez cash walata withdraw kranna hadadi “There has been an error in processing your request.” Ohoma msg ekak enwa. A ai.? If you have a reliable friend overseas. Try to get funds via him ( You can send him funds via transfer service ). It seems to be the only way no Mohan. Mata danaganna oni .deposit thamai bari..withrawal karanna puluwanda skrill to srilankan banks walata?.. Bro withdrawal to card possible da? Hi, how much did skril charge for bank transfer? And do the banks charge for inward remittances from Skril? Does skril offer MasterCard for sri lanka? how long does it take for skrill bank withdrawal?